Hasn’t Miss MaSucree been taking good care of you while I’ve been busy? ^_^ It’s good that she’s got some time off at the moment, because I’ve been fairly busy and not up for blogging. However, today I managed to have a day off and actually socialise with people! Shock horror! I spent the day with Miss Amy drinking tea and eating sushi and buying things. It was rather fun! So I have a couple of things to show off. 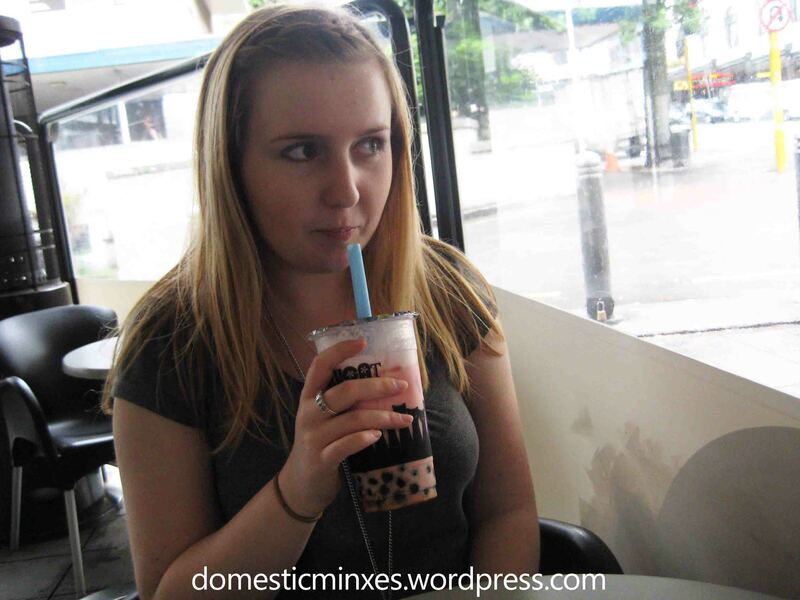 She took me to a bubble tea house in the city called Hulucat Tea House, and I tried a new flavour (new to me). I’m a creature of habit and I tend to get strawberry milk tea with pearls whenever I’m having bubble tea, but today I decided to try almond milk tea. It was a bit strange at first, but after a couple of sips I was addicted! There are a couple of branches in the city, we chose the one in the Civic building because it was closer. Apparently the one on Anzac Ave has much cuter decor though. I absolutely adore their cups! 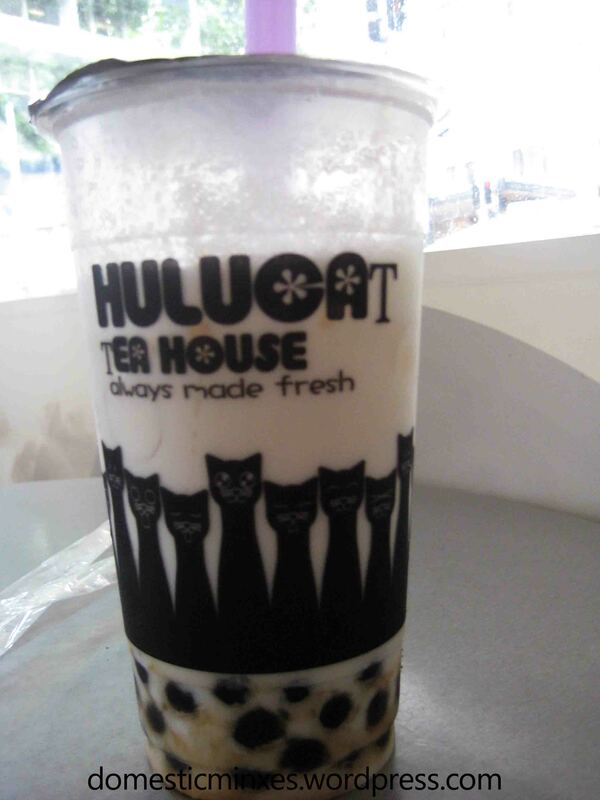 They have cats on them :3 Om nom nom almond milk tea with pearls! 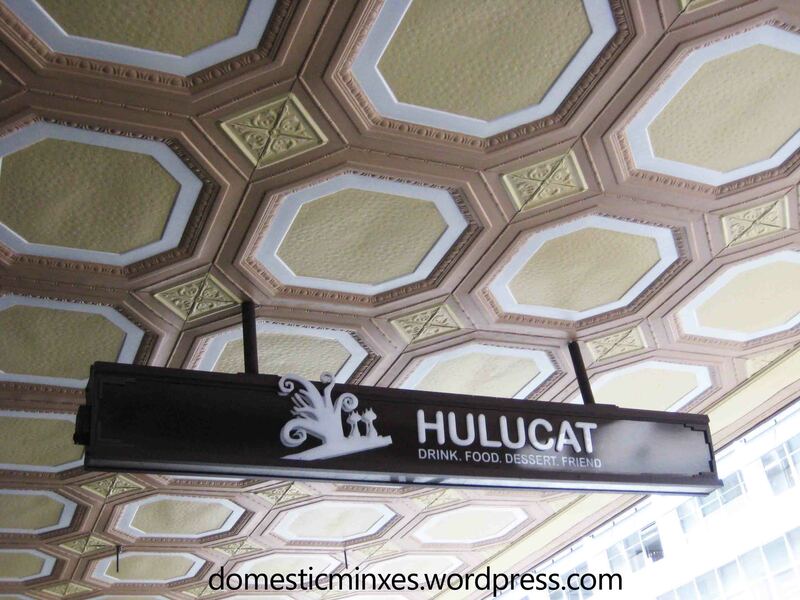 Apparently Hulucat also serves tasty waffles. We didn’t get any because we were full of sushi already by this point! So after our tea we went for a spot of shopping. I’m sure Miss MaSu will keep you all happy and entertained, and I’ll be keeping an eye on you all in my absence as well. You know I love you all! Bubble tea? I have not tried it which is a bit shameful since I am addicted to tea. Hi Emm! You should definitely try bubble tea, it’s basically just iced tea (usually milk tea) with tapioca pearls in it. They’re fun and give the tea a funky twist. Love all your goodies! I expect my package from Cherry Couture soon 🙂 Thank you very much, Sweetie. I’m looking forward to seeing photos of your Cherry Culture haul! 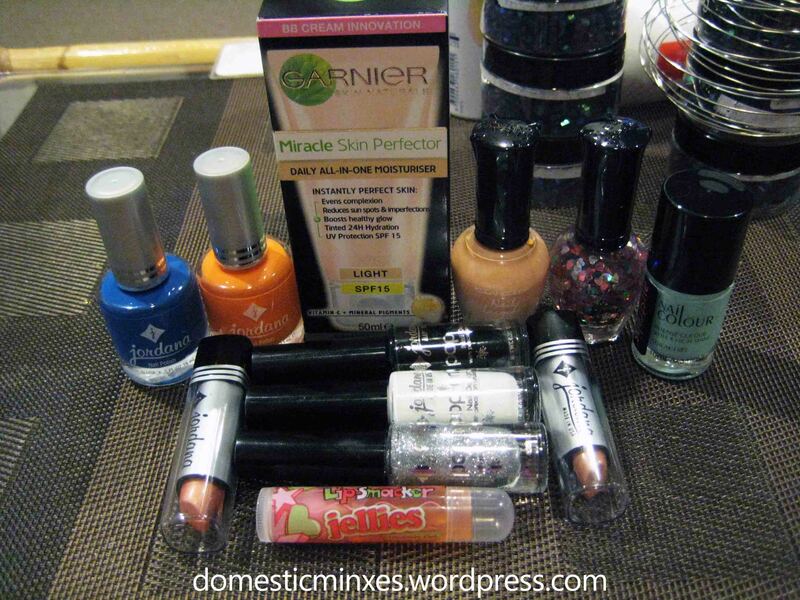 Makeup hauls always made me happy.